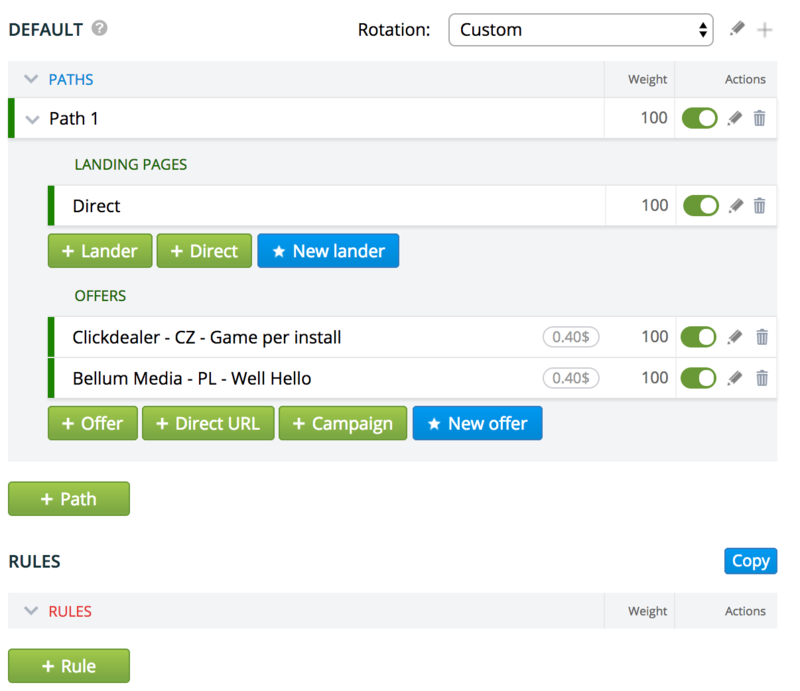 We started working on the rotation system, tracker monitoring, and affiliate networks catalog, for after the holidays. Anyway, it is easier to try it, than it is to explain it. You can find more detailed information in documentation. Monitoring system checks the uptime and speed of the tracker’s clicks processing. In case of any breakdowns, you will get a text message, as well as our support will be notified. The point is to secure users from different server-based risks with the help of timely reporting of problems. We will send text messages automatically if all is lost and nothing is working. Also, we will definitely write to you in Skype. We are thinking about the possibility to take servers for servicing in the future. 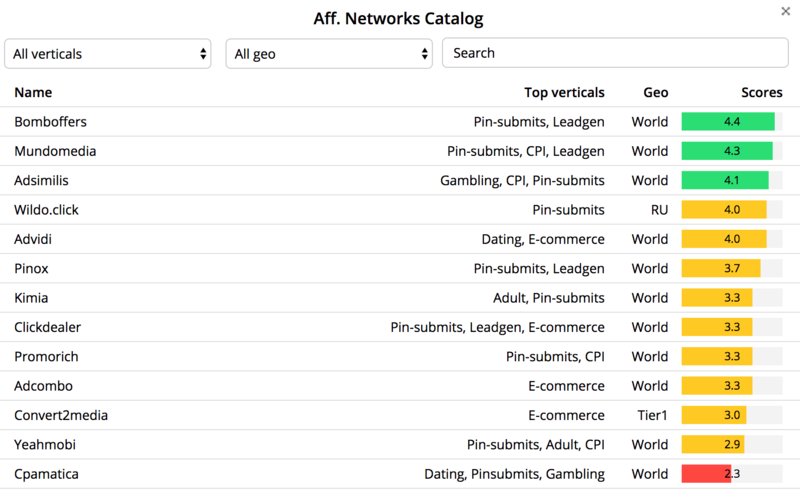 We created an affiliated networks catalog and added a small rating system (for a test). Our clients can score different networks. The thing is, each network in our database has postback URL and offer link templates. Thus, during offer creation, you can choose aff. networks and copy a link from the network without further revisions; besides, in the same window you will get accurate and correct postback, and there won’t be any necessity to contact our support for clarification. This is a small, but very convenient function. 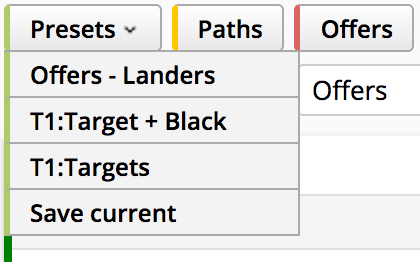 If you had and active saved filter, your template will be added to the filter list, for example, Token1 + Black. It is handy to receive in one black-list by publishers. – New algorithms for language specification. The format has changed to en_EN. – “set_bid” (&set_bid=x) parameter was added to the campaign’s URL for a click price forced setup.